Seven-hundred sixty-two is the current Major League Baseball homerun record is. This is one of the most controversial numbers in baseball. The man who holds this “record”, Barry Bonds, is labeled as a tainted steroid user and cheater. Nearly every year, for the past fifteen years or so, it seems that some of baseball’s biggest stars are suspended or thrown under the bus for steroid use. Most of the accusations started with the Mark McGwire and Sammy Sosa era and have continued to the present day Alex Rodriguez and Ryan Braun scandals. The use of steroids is not in baseball alone. Its rampant in the NFL, cycling, Olympics. With all of the money the MLB and other leagues have spent on testing, and investigating allegations of steroid use, they could make their lives much simpler. Why not just go ahead and legalize the use of steroids? Steroids have been around in sports since somewhere in the mid 1950’s. Much was not known about how steroids could increase muscle mass in people at that time. Leroy Watson, a sports writer for Bleacher Report stated, “The whole scandal of steroid use in sports erupted in the early 90’s when athletes in sports like baseball and the Olympics were getting stronger and breaking records” (Watson). Watson is discussing when Mark McGwire and Sammy Sosa were competing for the single season home run record. In 1997 both players hit fewer than 35 homeruns. McGwire did not play a full season, however, as he was setback with an injury. In the following year, 1998, McGwire hit seventy homeruns, Sosa hit sixty-six. The numbers they put up for homeruns that year was an absurd number based on their past season totals. A few years later, the most talked about steroid user, Barry Bonds, hit seventy-three homeruns. During this time in sports, American cyclist Lance Armstrong won the Tour de France title seven straight years from 1999-2005. Shortly after Armstrong had triumphed from his battle with cancer and baseball was seeing a record number of homeruns, people raised the question of steroid use more often. Armstrong, McGwire, Sosa, and Bonds were being thrown under the bus because of their use of steroids. Lance Armstrong and Alex Rodriguez were both proved with using steroids in the past three years. The issues of steroid use in the MLB are almost an everyday topic on sports networks. ESPN covers these stories on a weekly basis. Sports writer William Moller stated it best in his article saying, “The entire steroid outcry is pure hypocrisy. Look, you and I both understand that the majority of the best players in baseball are steroid users. And so are a good portion of the less than best. If it came out that Mariano Rivera and Derek Jeter were on some sort of designer steroid, I’d be surprised and disappointed, but by no means amazed” (548). Fans are not oblivious to the use of steroids in sports. Most fans probably even assume that most of the guys on the field or diamond are using them already. With all the rumors about players and athletes using steroids, there is a simple way to level the playing field, make them legal. Joe Posnanski stated, “The game, for better and worse, is as beautiful now as it ever was” (559). The commissioner of baseball, as well as the commissioners in other leagues, knows that this is the modern era for steroids. The commissioners know that anyone who is having an above average season or is putting up huge numbers in their sports could be using steroids. There is one thing that is not being looked at closely enough with the use of steroids, the positive effects that they have had on the world of sports. Steroids have also impacted sports in positive ways. Not only would the playing field suddenly be even for all players, it would be at a much higher level. A huge part of watching sports and playing sports is witnessing or achieving the very peak of human athletic ability, and legalizing performance-enhancing drugs would help athletes climb even higher. Steroids would help pitchers to throw harder, home runs to go further, cyclists to charge for longer, and athletes would have more endurance and sprinters could achieve even faster speeds. Not only would it be much more enjoyable to watch athletes compete, it could potentially help struggling city economies. Everyone is well aware that there are side effects with steroids, or any other supplement. When taken in moderation, side effects would be minimal. It makes sense for professional sports to allow steroids from a business standpoint. The best example for a business standpoint would be those years in the late 90’s when Mark McGwire and Sammy Sosa put on two of the most memorable baseball seasons in 1998 and 1999. The amount of people watching games and keeping tabs with these two was incredibly higher than in previous years, especially in 1998 when McGwire had broken Roger Maris’ 37-year-old single season home run record. Sports writer Chris Smith stated, “Jerseys were flying off the shelves, attendance rates at ballparks were increasing, and the television viewers were climbing as well” (Smith). At the same time, legalizing performance enhancing drugs would make life much easier for professional sports organizations managing the anti-doping policies. There is a blurry line, for instance, between what is and isn’t an improper performance enhancer. Major League Baseball has strict limits on stimulants like ephedrine and amphetamines, but no restrictions on caffeine use. Athletes are also barred from using human growth hormone, which has shown in several studies to help with injury recovery. Not only would legalizing performance-enhancing drugs help avoid the grey area of deciding whether it is ethnical or not, but they would save the trouble of the hours they took testing samples. The athletes that have been in these scandals were in many cases, the most looked up to athletes in their respected cities. Armstrong showed the world that you could do anything after beating his battle with cancer. Alex Rodriguez, Sosa, Bonds, and McGwire all were arguably the most influential athletes in their cities before their reputations became tarnished. Steroids might as well be legal and available. Players will continue to use these performance-enhancers until something better comes about. Writers Joe Posnanski and and William Moller from “They Say/I say”, agree with the fact that the game is not viewed differently. Whether it be the Olympics, NFL, MLB, cycling, or some other sport, games will still be played and fans will keep watching. Moller, William. “We, the Public, Place the Best Athletes on Pedestals” “They Say/I Say”: The Moves That Matter in Academic Writing: With Readings. 2nd ed. Ed. Gerald Graff, Cathy Birkenstein, and Russell Durst. New York: Norton, 2012. 545-551. Print. Posnanski, Joe. “Cheating and CHEATING” “They Say/I Say”: The Moves That Matter in Academic Writing: With Readings. 2nd ed. Ed. Gerald Graff, Cathy Birkenstein, and Russell Durst. New York: Norton, 2012. 553-559. Print. Smith, Chris. “Why It’s Time To Legalize Steroids In Professional Sports.” Forbes. Forbes Magazine, 24 Aug. 2012. Web. 30 Apr. 2014. Watson, Leroy. “Steroids: Is It Time To Legalize and Regulate Their Use?.” Bleacher Report. N.p., n.d. 8 March. 2009. Web. 30 Apr. 2014. Michelle Obama: She is the first lady and the dean of student services at the University of Chicago. She is also the Vice President of community and external affairs for the University of Chicago Medical Center. Susie Orbach: Chair of the Relational School in the United Kingdom, she has published many books on women’s health and emotional well-being. She has worked exclusively as an author and therapist on weight issues. Charlie Rawlins: A young man living in Manchester, Kentucky. Charlie weighed two-hundred fifty-one pounds and had to undergo knee surgeries from his weight. He managed to drop his weight down to one-hundred eight-five pounds and works in a small physical therapy office in Clay County. Carlin Robinson: She is the daughter of Scott Robinson and the younger sister of Britney Robinson. Although she is the youthful age of twelve and has a stellar academic record, she struggles with her physical body, weighing at least twenty pounds over the recommended nutritional guideline. Scott Robinson: A coal miner raised in Manchester who is a single parent raising two daughters. It is a fine Saturday afternoon in Manchester, Kentucky many people find themselves making their way to the local food court to encounter a plethora of motion by exuberant costumers. Scott Robinson and his daughter Carlin can be seen down, engulfing on their juicy grease filled Big Macs. Susie Orbach, Michelle Obama, and Charlie Rawlins are approaching them ready to join for lunch. They already notice how Scott and his daughter are devouring the unhealthy food. As they continue to eat their food, the guests arrive shortly after Carlin has finished her burger. Charlie Rawlins: It is a pleasure to be here sir. My name is Charlie Rawlins and I am simply here to assist these ladies with the intervention. C. Rawlins: I’ve been in your shoes before while living in Manchester. The inadequate amount of resources we have here promotes obesity and lack of exercise. 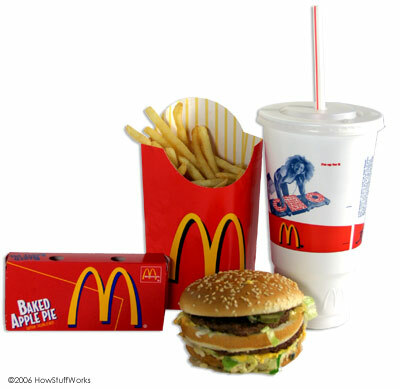 “I realized that no one was going to listen to me (regarding how fast-food negatively can affect health). I started going in for the fruits, the asparagus, making my own salads. The kids around here, they’ll eat cornbread and taters for lunch. They’ll get a 20-piece chicken meal. It’s killing them” (410). C. Robinson: “Sometimes, I think they give us too much food” (414). C. Robinson: “I don’t want to weigh myself” (414). SR: “Lord, I couldn’t tell you, Two-seventy, two-ninety. I don’t remember the last time I weighed myself” (415). C. Robinson: “Sometimes you get picked on for your size” (414). Susie Orbach: Carlin, you are absolutely correct society has a large influence on one’s appearance. “The message is loud and clear— the woman’s body is not her own” (451).” Fat is a social disease” (449). Michelle Obama: “But it’s important to be clear that this issue isn’t about how our kids look. It’s not about that. It’s about how our kids feel. It’s about their health and the health of our nation and the health of our economy” (420). SO: “While this preoccupation with fat and food has become so common that we tend to take it for granted, being fat, and feeling fat and the compulsion to overheat are in fact, serious , and painful experiences for women involved”(448). MO: “ It’s about making those little changes that can really add-up simple things like taking the stairs instead of the elevator, walking instead of riding in a car or a bus, even something as simple as turning on the radio and dancing with your children in the middle of your living room for hours”(428). SR: “I mean I don’t have any time to really exercise with the girls.” “There’s a basketball court out back of the house’ (409). I honestly feel ashamed “There are no full length mirrors in the front rooms of their home that might reveal an image of anyone” (415). MO: You are just living by your means… “For many folks, those nutritious family meals are a thing of the past, because a lot of people today are living in communities without a single grocery store, so they have to take two, three buses, a taxi, walk for miles just to buy a head of lettuce for a salad or to get some fresh fruit for their kids” (423). SR: Truthfully, our family has been struggling; I hardly get hours at my main job which forced me to get another job. I hate this job more than anything. “Just started this last December.” “Trying to make an extra dollar” (415). C. Robinson: It is a matter of motivation, neither I nor my sister feel comfortable discussing our weight or overeating. No woman is every going to be completely satisfied with her size or shape. We always find ways to distinguish our imperfections. SO: “A feminist perspective to the problem of women’s compulsive eating is essential if we are to move on from ineffective blame the victim approach… feminism insists that those personal experiences derive from the social context into which female babies are born and within which they become adult women”(449). C. Rawlins: I have pretty much spent the entire conversation silent and analyzing each and everyone’s opinions. I hate to be critical but Scott you have to stop being an enabler. There are a plethora of inexpensive meals that can be made at home. I also believe that everyone needs to take responsibility for their actions. Let’s have a fresh start; I’m not saying immediate change will happen overnight but it takes time and patience. MO: “So if anybody here, after all this talking that I’ve done, who feels a little overwhelmed by this challenge— because it can be overwhelming—if there is anyone here who might even be already losing hope thinking about how hard it will be to even get going , or giving up, I just want you to take a look at all the things that are already being accomplished, because I want folks to learn from each other and to be inspired by each other , because that’s what we’ve always done”(431). Haygood, Will. “Kentucky Town of Manchester Illustrates National Obesity Crisis” “They Say/I Say”: The Moves Matter in Academic Writing: With Reading. 2nd ed. Ed. Gerald Graf, Cathy Birkenstein, and Russell Durst. New York: Norton, 2012. 406-416. Print. Obama, Michelle. “Remarks to the NAACP National Convention” “They Say/I Say”: The Moves Matter in Academic Writing: With Reading. 2nd ed. Ed. Gerald Graf, Cathy Birkenstein, and Russell Durst. New York: Norton, 2012. 417-433. Print. Orbach, Susie. “Fat Is a Feminist Issue” “They Say/I Say”: The Moves Matter in Academic Writing: With Reading. 2nd ed. Ed. Gerald Graf, Cathy Birkenstein, and Russell Durst. New York: Norton, 2012. 448-453. Print. For my first unit paper of the semester I decided it would be best to discuss higher education. We have formally discussed this topic during class; however, I chose this topic because higher education intrigues me. There is so much that goes into higher education, from administration, to athletics, to students. As an athlete and a student here at Lenoir-Rhyne, many aspects of higher education are of interest to me. Since I am in just my second semester of college, I do not have much personal experience with higher education. I can relate to the comic strip but not to the essays. Reading the essays by Addison and Murray help me better understand higher education. Groening, Matt. “Lesson 18: The 9 Types of College Teachers.” Plashing Vole. Plashingvole.blogspot.com, 25 Oct. 2012, Web. 12 Feb. 2014. In Matt Groening’s “The 9 Types of College Teachers”, Groening depicts the various teachers that college students will likely encounter. The nine professors features “The Steady Droner” and “Nice Little Nobody”. For all nine Groening lists advantages, drawbacks, and warnings. “The Steady Droner” and “Nice Little Nobody” are both labeled with the warning “this is life”. This is interesting because it’s hinting that you cannot choose your teachers. At some point during time at college, you are going to get one of the nine teachers that Groening has drawn. This is relatable for some to many college students. Matt Groening, cartoonist, screenwriter, and producer of popular shows including The Simpsons and Futurama. Murray, Charles. “Are Too Many People Going to College?” “They Say/I Say”: The Moves That Matter in Academic Writing. 2nd ed. Ed. Gerald Graff, Cathy Birkenstein, and Russell Durst. New York: Norton, 2012. 222-242. Print. Murray argues very early on in his essay that students should learn more of their core teachings at an early age. He argues that many of those who are going to college are not entirely ready to go. The score that students need to earn on the SAT math and verbal tests to prove they are ready for college is roughly 1180. As Murray notes, only 10% of eighteen-year-old Americans can achieve that score. At that same age, slightly over 30% of eighteen-year-old Americans are going to college. At the rate of those who are college ready versus the rate of those going to college, too many teens are going to college. They are unprepared for what rigorous college courses demand. Charles Murray works at the American Enterprise Institute, and has written articles for the Washington Post, the Wall Street Journal, and the New York Times. Addison, Liz. “Two Years Are Better Than Four” “They Say/I Say”: The Moves That Matter in Academic Writing. 2nd ed. Ed. Gerald Graff, Cathy Birkenstein, and Russell Durst. New York: Norton, 2012. 211-214. Print. Though Addison’s essay in “They Say, I Say” is only four pages, she has a very important message for those who are considering attending college. Addison argues that community college is a much better option for many teens. Community college may not yield a bachelor’s degree like a large university; however, it can put an individual on his or her desired path for life. Community college is a much underrated option for high school graduates. Liz Addison went to community college and graduated in 2008. She studies in London now and her essay in “They Say, I Say” was a runner-up in a New York Times Magazine college essay contest.